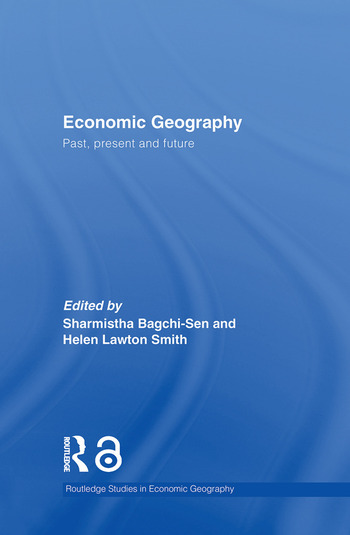 The impact of economic geography both within and beyond the wider field of geography has been constrained in the past by its own limitations. Drawing together the work of several eminent geographers this superb collection assesses the current state of knowledge in the sub discipline and its future direction. In doing so, the contributors show how economic geographers have offered explanations that affect places and lives in the broader context of the global economy. Offering a discussion of theoretical constructs and methodologies with the purpose to show the need to combine different approaches in understanding spatial (inter) dependencies, contributors also demonstrate the need to engage with multiple audiences, and within this context they proceed to examine how geographers have interfaced with businesses and policy. This excellent collection moves economic geography from a preoccupation with theory towards more rigorous empirical research with greater relevance for public policy. With excellent breadth of coverage, it provides an outstanding introduction to research topics and approaches. Sharmistha Bagchi-Sen is a Professor in the Department of Geography, University at Buffalo-State University of New York. Helen Lawton Smith is Reader in Management, School of Management and Organisational Psychology, Birkbeck, London University and a Distinguished Research Associate at the School of Geography, Oxford University.